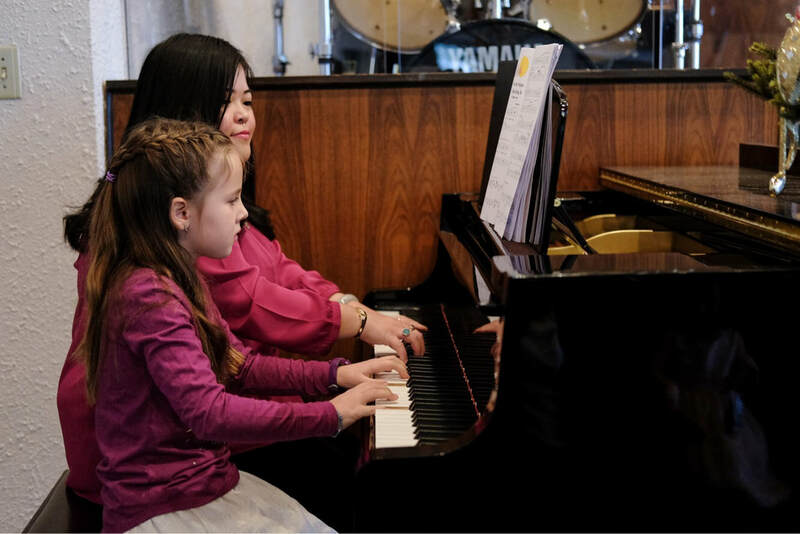 Donna Huang - PIANO LESSONS AGES 2.5 - ADULTS! A teacher takes a HAND, opens a MIND, touches a HEART, and shapes the FUTURE. Miss Donna is a dynamic, dedicated, and creative piano teacher whose passion lies in teaching and empowering children.﻿ She values children's amazing gifts and hopes to inspire and empower her students to do their best and to be themselves. While imparting musical knowledge and skills to her students is essential, building positive relationships with her students is integral to their well-being and self-confidence - so that they know and feel that she believes in them always! She has over 10 years of piano teaching experience and have worked with children for more than 15 years. She believes the first piano learning experience is the most special and unique moment in a child's life. She knows how important it is to provide a positive, fun, and encouraging learning environment so that children's natural curiosity, use of imagination, self-expression, and creativity can be explored and nurtured.